The temperature is soaring, steaks sizzle on the grill, and kids play in the pool, but not everyone is thinking summer. Back to school season is starting earlier than ever for big retailers and the impact trickles over into all aspects of marketing. Both Office Depot and Land's End launch back to school campaigns at the start of summer - in some cases before school even ended in some parts of the country. Office Depot's back-to-school advertising rolled out June 25 of this year, a full three weeks earlier than 2016's July launch. Other retailers are following suit, but there is some consumer backlash against the early push. Lands' End received public criticism on social media when their back-to-school catalog dropped while kids in many parts of the country were still in school. "We got your #backtoschool catalog in the mail. Our kids still have two weeks of school left this year! #fail #marketing," tweeted Greg Magin. 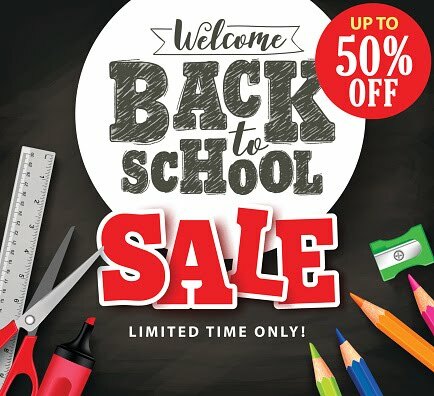 Positioning your Back to School promotions in July and working to build not only sales but also awareness can help place you in front of consumers when they're ready to outfit the kids for the next school year. Since most consumers begin searching online well before they part with actual money, building awareness ahead of this busy season can help you get the results you want without irritating consumers.